In January and February the George Adams Gallery will show a selection of paintings by Jack Beal dating from 1968 to 1972, a four year stretch of time that was a fertile and searching period for the artist. 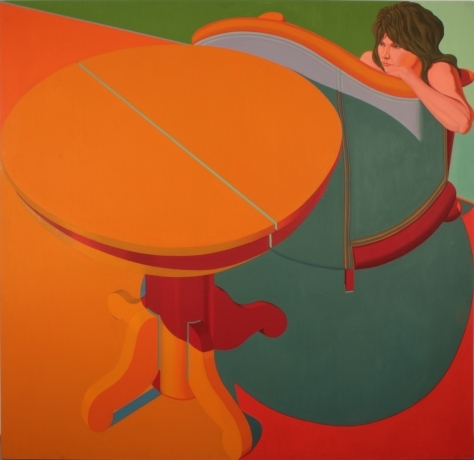 During these years Beal relentlessly pursued an investigation of geometry and form, and this effort resulted in a group of hard edge paintings of still-lives and furniture, some including the figure. While these paintings are vividly colored, large-scale, and imbued with other familiar Pop sensibilities, they somehow suggest an earnestness of purpose and are without any trace of irony.